Our latest biannual economic forecast for East Asia & Pacific. 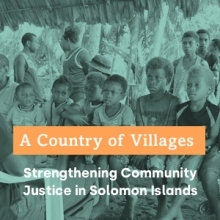 An innovative project in the Solomon Islands builds a link between government, police and citizens across isolated villages. Stronger growth in advanced economies, a moderate recovery in commodity prices, and a strengthening of global trade growth, are the favorable external factors that will support the economies of developing East Asia and Pacific to expand by 6.4% for 2017. Growth in the region is expected to slow slightly to 6.2% in 2018 primarily reflecting China’s gradual slowdown. Just as a picture is worth a thousand words, a “voice” can be worth a hundred statistics. 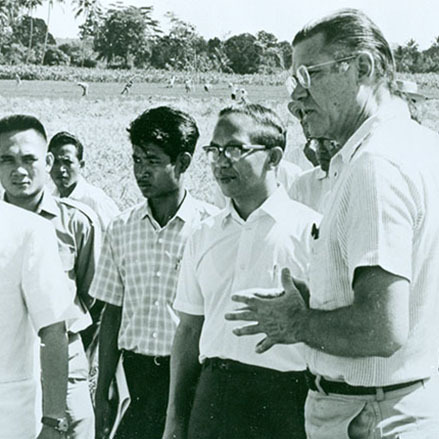 In this book you will see the pictures and hear the voices of our partners in development. Together they present powerful stories of how projects can affect and transform lives, and offer us a memorable glimpse behind the numbers.